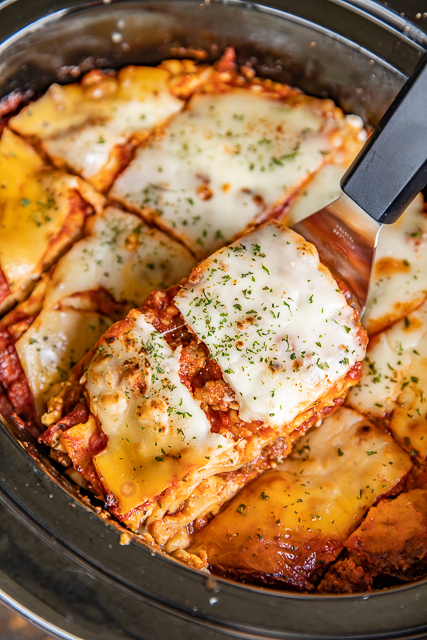 Lasagna is a holiday tradition in our family. 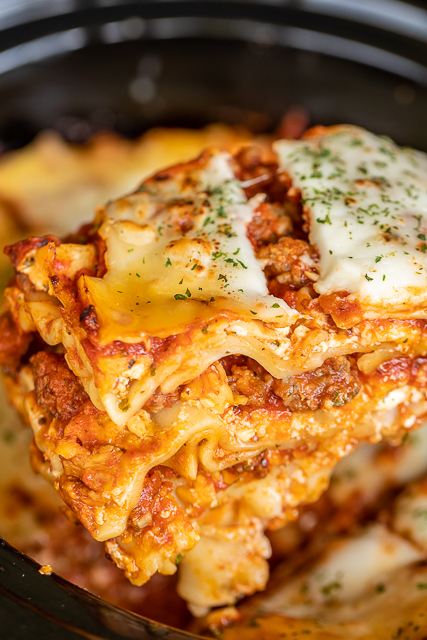 We would always have lasagna on Christmas Eve so I could eat the leftovers for my Christmas dinner. 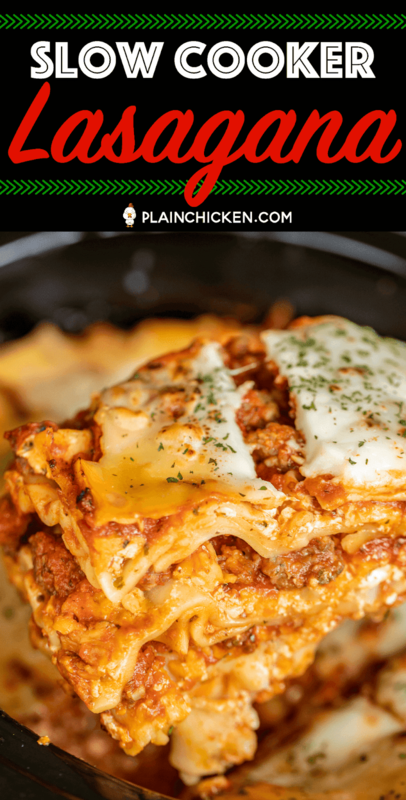 I wasn't a big turkey fan, but I LOVED lasagna. I do eat a little turkey now, but we still make Lasagna on Christmas Eve. This year I am changing our traditional recipe up a bit and making it in the slow cooker. 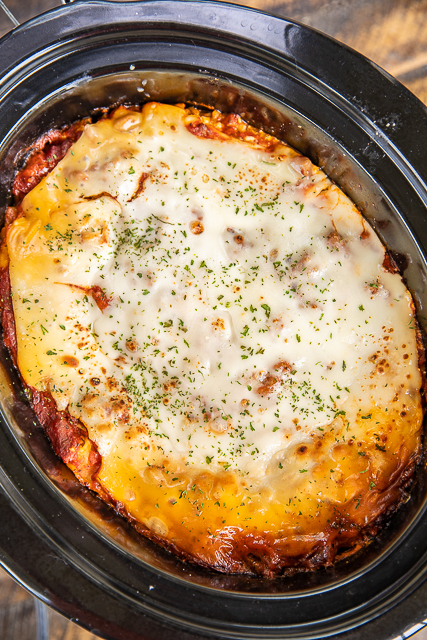 Who knew lasagna could taste SO good out of the slow cooker?!?!?! 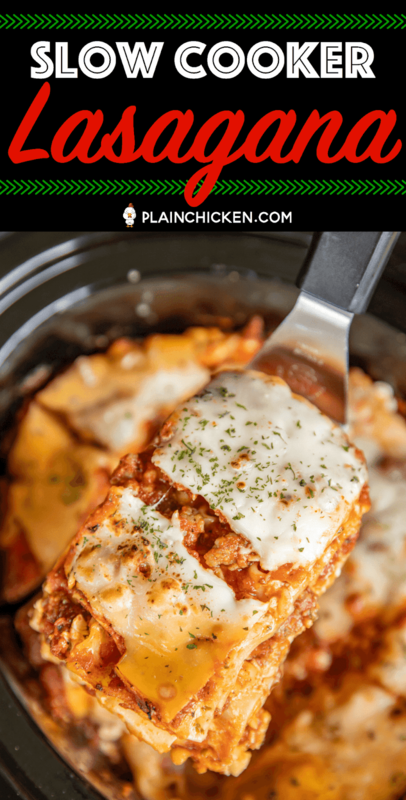 I love how easy this Slow Cooker Lasagna is to make. 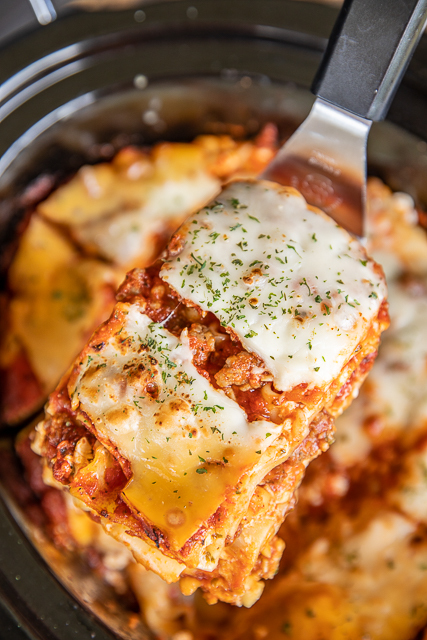 No need to boil the lasagna noodles. Just layer them in the slow cooker uncooked. You are going to add a little extra liquid to the sauce and that will cook the noodles for you. How awesome is that??? 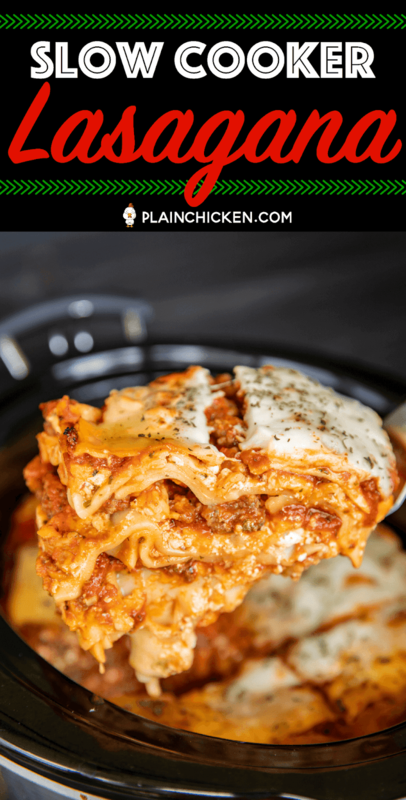 I took a major shortcut and used a jar of spaghetti sauce in this recipe. I usually make my own sauce for lasagna, but it takes hours to make and I wanted something quick this time. I like Trader Joe's Roasted Garlic Marinara (green label), I also love Rao's and La Famiglia DelGrosso pasta sauces. 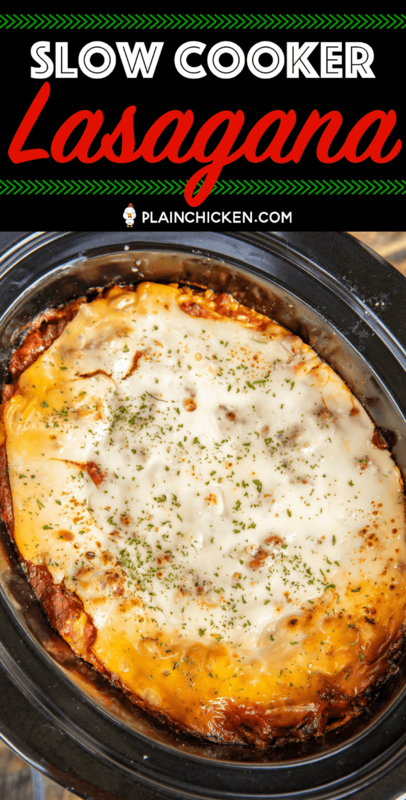 We all LOVED this Slow Cooker Lasagna. I might have eaten two GIANT pieces! 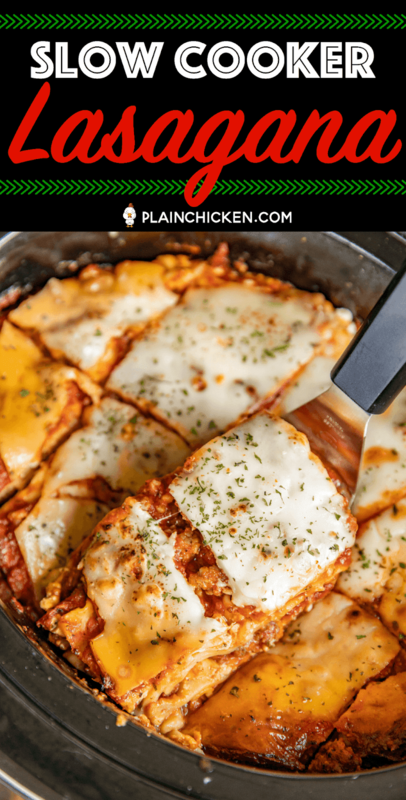 We served this with our favorite Garlic Bread and our Creamy Italiano Salad. Perfecto! I am counting down the days until we make this again!! SO good! In a large skillet, cook Italian sausage until crumbled and no longer pink. Drain fat. Stir in spaghetti sauce and tomato sauce. Set aside. Spray a 6-qt Slow Cooker with cooking spray. Spread 1 cup of sauce in bottom of slow cooker. Top sauce with 4 lasagna noodles, breaking to fit. Spread 1/3 of cottage cheese mixture of on top of noodles. Top with 1/4 of mozzarella slices. Top mozzarella with 1/3 of remaining sauce. Sprinkle 1/3 of parmesan cheese on top of sauce. Repeat layers two more times. - noodles, cottage cheese, mozzarella, sauce and parmesan. 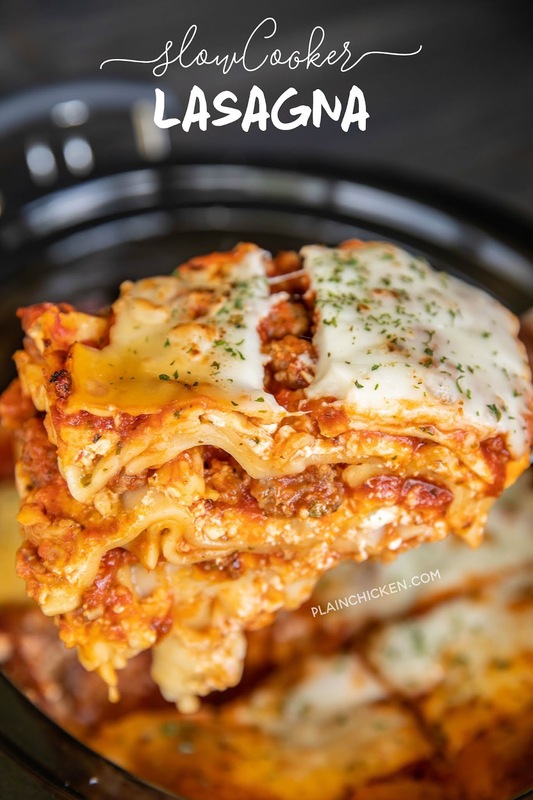 Top lasagna with remaining mozzarella slices. can you cook this longer then 4 hrs on low? sure! It should be fine cooking a little longer. Which jar spaghetti sauce do you use? Can you assemble the night before? 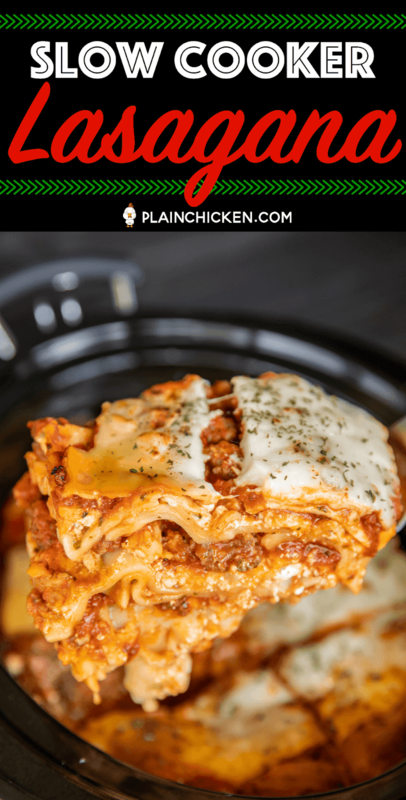 are the lasagna noodles"oven-ready" or the other kind? 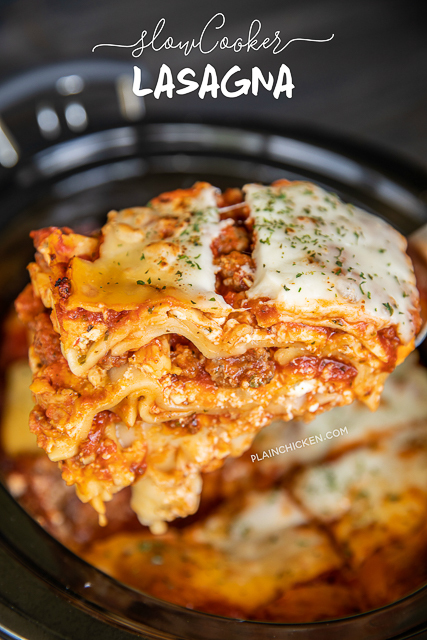 I used regular lasagna noodles not the "oven ready" type.